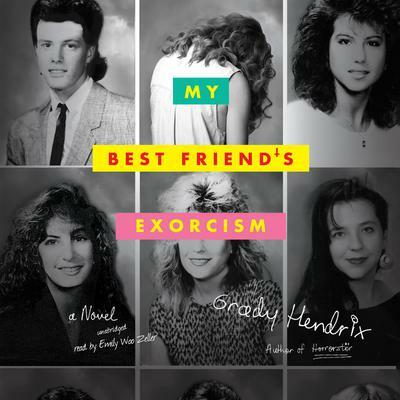 A heartwarming story of friendship and demonic possessionThe year is 1988. High school sophomores Abby and Gretchen have been best friends since the fourth grade. But after an evening of skinny dipping goes disastrously wrong, Gretchen begins to act … different. She’s moody. She’s irritable. And bizarre incidents keep happening whenever she’s nearby.Abby’s investigation leads her to some startling discoveries—and by the time their story reaches its terrifying conclusion, the fate of Abby and Gretchen will be determined by a single question: Is their friendship powerful enough to beat the devil?Like an unholy hybrid of Beaches and The Exorcist, My Best Friend’s Exorcism blends teen angst, adolescent drama, unspeakable horrors, and a mix of 80s pop songs into a pulse-pounding supernatural thriller.